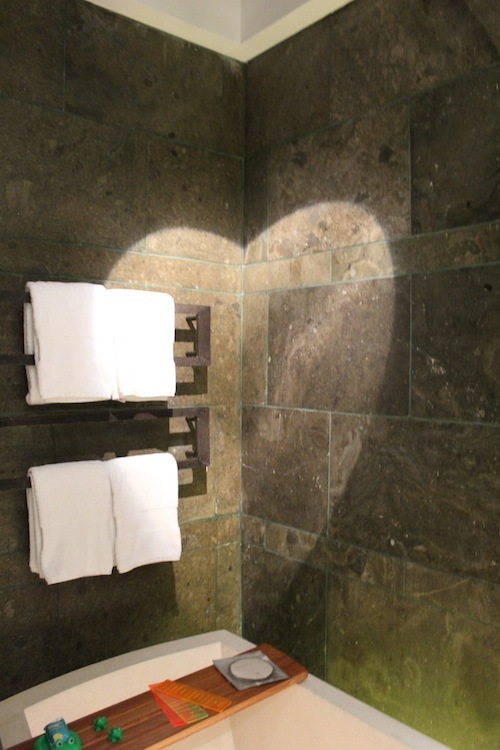 Question: I Need Feng Shui Help, My Bathroom is in the Love and Relationships Area! Please help, I just realized my bathroom is in the Love and Marriage area!! No wonder I am still single. Can you give me some good feng shui cures and tips to change this bad feng shui situation? Thank you! Answer: Bathrooms do have a bad reputation in feng shui, this is a fact. However, you have to have the bathroom somewhere in your home, don’t you? I would say the best feng shui approach is not to call the bathrooms “bad feng shui”, no matter which feng shui area they are located in, but to be aware of the constant effort you have to put into keeping the bathroom energy fresh and clean. The first and main advice is to be sure you create (and maintain!) the highest energy possible in your bathroom. Clean, organized, fresh air, nourishing, that sort of things. Sounds very simple, but it is easy to overlook these basics in search for the magical feng shui bathroom cures. In addition to strengthening the energy of the feng shui element of the specific Bagua area, focus on expressing and strengthening the energy the Bagua is connected to. In the case of a bathroom in Southwest, you need to emphasize the energy of love. So, you can, for example, have a beautiful painting of two lovers, or have a composition of two tall candles, surrounded by rose quartz crystals. Or any other images or items that nourish your heart with a feeling of Love. Speaking of feng shui elements, be mindful about limiting the Metal, Wood and Water elements in your Southwest bathroom. And, of course, do not have art with lonely, single people, not in the Love and Marriage area! To conclude, it is not that it is “bad feng shui” to have a bathroom in Southwest bagua area, it just that it takes constant attention, or focus, to keep it “in good feng shui shape”, so to speak, to keep the energy fresh there. As the energy of Southwest is connected to the feng shui energy of love relationships & marriage, it is important to be aware of the guidelines for the Love area and keep them in mind when creating (and taking care of!) your good feng shui bathroom.